The perfect wedding date begins right at your selected venue that is tailored to fulfill your every expectation and more. 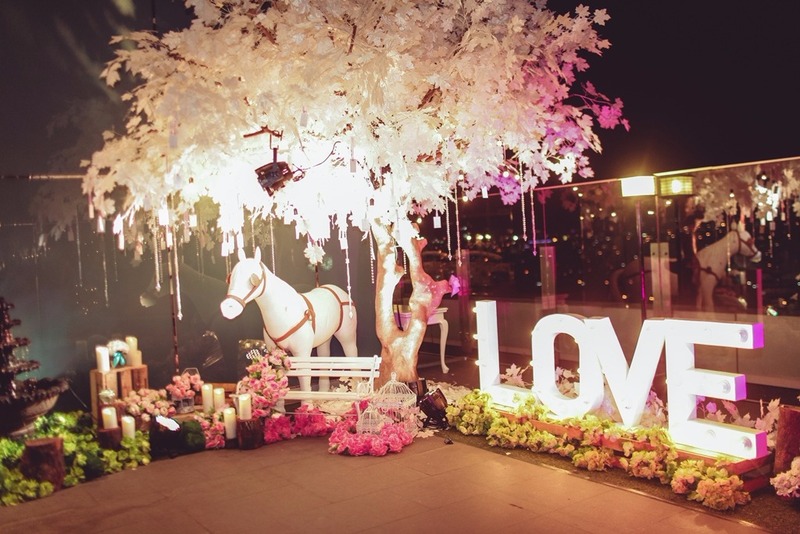 Established since 2012 in South Jakarta area, la’SEINE is your one stop premium wedding venue service. We more than understand the importance of delivering the most flawless, elegant and special function halls with prices that meet your budget. With professionalism, we will personalized your once in a lifetime event and turns your dream wedding into reality. With well-appointed and purpose-built structures, la’SEINE function halls are decked with large frame windows of the best quality. Our sleek interiors are designed with ease and sophistication in mind where great functionalities and convenience come first for the success of every event. Boasting classic interiors and state-of-the-art facilities, la’SEINE overlooks the prime view of Kuningan area, offering a luscious city panorama that thrives with urban modernity. la’SEINE is also equipped with separate areas for different purposes, including our special alfresco venue with open terrace and cool breeze. It is most ideal for all types of parties and functions, including cocktail reception to romantic solemnization and more. For occasions of any kinds and scales, trust our most dedicated expertise in hosting multi-purpose banquet and event center.